The farmhouse sleeps 30-32 people. It’s a fun house that has seven rooms and four full bathrooms. 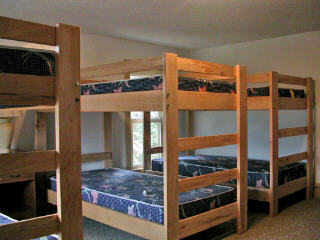 Most of the rooms will vary in size and have bunkbeds in them. Two of the rooms have queen beds in them allowing the adults in the group a chance to get away from all the excitement if need be. There is a full kitchen, dining room, and living room making the house a great home away from home. 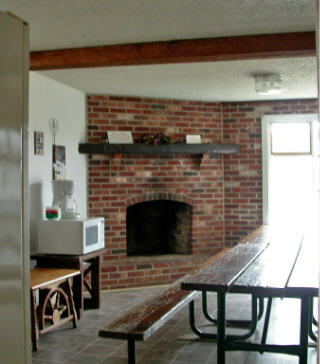 It’s ideal for groups in the winter or family get-a-ways in the summer. 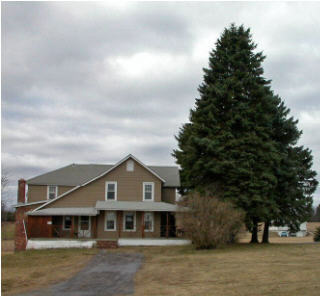 The farmhouse is located at the entrance of our driveway. NEW this year we have installed Satellite tv service in the living room. Below are a few pictures. 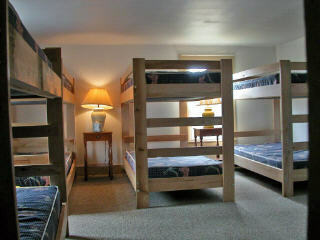 Another of the many rooms the farmhouse has to offer!